Few players can match the longevity and successes of Johnny Chan"s career. Though he shot to fame by winning back-to-back world series main event"s in 1987 and 1988, Chan continues to prove that he is a formidable opponent to this day â€“ playing both tournaments and cash games at the very highest level. Johnny Chan is also involved in many business ventures, most notably his own online poker site http://www.chanpoker.com. Chan"s success at the World Series of poker actually began 2 years before his first main event win. In 1985 he won the first of what would become a total of 10 bracelets by taking the $1000 buy-in fixed limit Holdem event. The tally of 10 bracelets made Johnny Chan the joint leader in WSOP history until 2007 when one Phil Hellmuth Jr won his 11th title. Born in China in 1957, Chan"s journey to the United States was via Hong Kong â€“ where his family relocated in 1962. 4 years later his family arrived in Phoenix, Arizona before finally settling in Houston, Texas. In a story familiar among poker professionals, Chan dropped out of college (where he was studying Catering and Hotel Management) to follow his dream of making a living from the game. Johnny Chan"s poker nickname is the "Orient Express", this is due to his aggressive "fast" poker style in which he repeatedly puts opponents to the test with big bets and raises. This fearlessness at the tables makes Chan a formidable opponent in a wide variety of poker games. The "big bet" approach is also in stark contrast to the "small ball" approach employed by many of the aggressive poker professionals of the younger generation. Proving his all round poker skills, Chan has won WSOP bracelets in a wide variety of poker variants. These include 2 for Pot-Limit Omaha (in 2000 and 2003) and victories in the 7-card stud and 2-7 draw poker events too â€“ in addition to his No-Limit Holdem bracelets. Outside of the WSOP Chan has yet to equal his successes, with no wins on the World Poker Tour circuit as of early 2008. Winning the "Poker After Dark" inaugural event featuring former world series champions, along with many other final tables and cashes have contributed to Chan"s lifetime tournament winnings of more than $5.9 million. 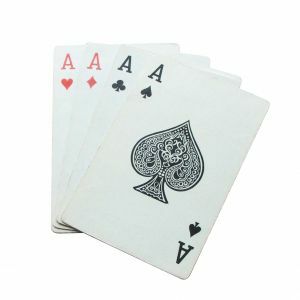 As a poker cash game player at the very highest level it is likely that the true total winnings from poker are actually many times this figure.